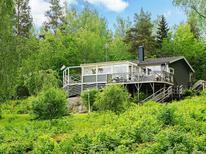 A holiday house in Sweden costs on average GBP 509 in the cheap travel period and GBP 997 in the peak season per week. These details are of course in relation to the house and not per person as well as includes the obligatory additional charges. The mountains and forests in the harsh north, the meadows and seas in the south as well as the midnight sun that turns night into day equally lure families, mountain hikers, fishers and nature enthusiasts. 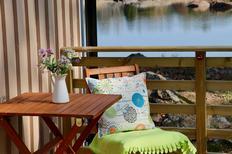 Discover Sweden up close and the best way of doing this is with a holiday home. Where else will you be so close to nature! 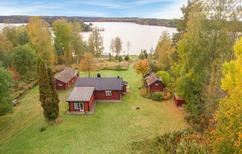 In Sweden atraveo offers a selection of more than 5,100 holiday houses. The country at the heart of Scandinavia is renowned for its stunning nature and is the ideal travel destination for those who want to get away from all the hustle and bustle of everyday life. There are numerous possibilities for spending a great holiday home vacation. Especially popular are the countless Swedish lakes. But also the coast as well as the mountainous region along the border to Norway promise great holidays. A classical red or brown painted wooden house, situated next to an idyllic lake, surrounded by lush green forest – that’s what makes a perfect Swedish holiday. Often these houses stand secluded from larger villages in thick Scandinavian woods which guarantee tranquillity and relaxation. 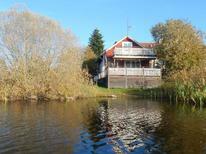 This is also ideal for families as the children can play all day long in the garden and even take a swim in the lake. 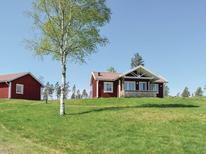 Most Swedish holiday houses are equipped with all necessary comforts despite their secluded setting. Many houses have a sauna and whirlpool ensuring a perfect relaxing holiday. Due to the often very secluded locations of many of the holiday homes in Sweden travelling by car is the most sensible option. What is the use of travelling by plane or train when you cannot get to your holiday home in the Swedish forests or out of there to go shopping? 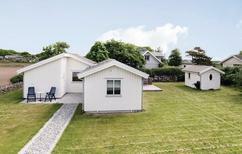 The best travelling time for a holiday home vacation in Sweden is summer. From end of June until the beginning of September the temperatures are comparatively high so that one can also enjoy swimming in the lake in front of the holiday house. 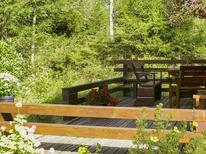 But it can be as nice to enjoy the Indian Summer in the Swedish forests and those die hard nature lovers probably don’t mind to get snowed-in their holiday home during the winter. A great experience is a holiday which includes the Midsommar festival at the end of June. The event celebrates the summer solstice and is after Christmas the second most important festivity of the year. It is celebrated in all Swedish towns and villages where people party and dance the night away. In this context a holiday north of the polar circle might be interesting, for example in Swedish Lapland. On the day of the summer solstice, the 21st of June, you can experience the sun not setting for 24 hours. On the other hand you could also experience the darkness of the winter solstice in December when the sun does not rise for 24 hours – however it is not as pleasant as in the summer as it can get very cold at this time of year, especially in the north of Sweden.